It was clear to me that while every child in my class had the potential to learn, a significant number of them just weren't thriving: whatever the school and whatever the year group. Regardless of how much work I put in as their teacher to make learning fun and engaging, each year I felt I was forcibly dragging some children through the curriculum. And that wasn't right. The problem seemed to be that these kids just weren't fully engaging with learning by traditional means: which as we know is largely through reading, writing and listening. Having just returned to teaching part-time, following an extended period of clinical depression (which I'm happy to talk about, but not here), I knew from dark personal experience what it was like to feel distant from what was going on around me. I now began to see more clearly the inner struggles of some of the children in my class, children who were otherwise very bright and had a lot to offer given half the chance. But there were some things they just couldn't do, however hard they tried, and it made them feel stupid. Usually, these children tried to cover up their lack of understanding rather than reach out to the teacher. Yet get these same kids onto something they were good at and they shone brightly, bringing a tear of admiration to the corner of your eye. I believe many struggling children don't reach out because they have no vocabulary or baseline to begin to describe how they feel, they just believe they are not clever enough to understand what others in the class clearly do. 2012 - Socialworx: A New Beginning? I knew I had to do something to find new ways to break down the barriers to learning I was witnessing daily in the classroom. I was now more aware of dyslexia, dyspraxia, ADHD and autism, but to be honest it was all very vague. I have to admit, sadly, that I was still one of those people who thought dyspraxia was dyslexia but for maths. And I was a teacher. What hope did the kids have. But I wasn't alone. I knew that the majority of my teaching colleagues understood little of these 'learning difficulties' (as they called them). I knew, from deep inside, my journey from now on was to raise awareness and improve understanding of neurodiversity in all its forms. I wanted kids to know they weren't alone, that there were others out there who felt, and looked at the world, the same way they did. I also wanted teachers to better understand the children in their care, by providing appropriate training resources. So while working (part-time) as a teacher, I established a social enterprise called Socialworx and spent the next year learning about how to operate as a book publisher and how to produce animations. I surrounded myself with the best people I could find to help me. A few months after I left classroom teaching, we published our first children's book: You're So Clumsy Charley. This book was written by a mum with dyspraxia, whose dyspraxic daughter had suffered the same bad experiences that she had at school, decades earlier. No one seemed to understand, and there were very few books out there from the point of view of the dyspraxic child. So she decided she wanted to raise awareness of dyspraxia in primary schools by publishing a book through us that told the story of Charley who was a bit different to everyone else. We were lucky enough to secure the services of a locally renowned cartoonist/illustrator who generously agreed to work in return for a royalty rather than a one-off fee (we wouldn't have been able to afford him otherwise). This set the model for the books that followed. The only way we were going to realistically get more of these niche books published was to work with people who, like us, were willing to put in their own time and effort to get the message out there. Every book contributor would need to be willing to be paid after the project, via royalties from any book sales. This was a good test of a would-be contributor's genuine interest in a project: because if a book didn't sell there would be no financial reward. The primary objective would always be to make a positive difference to the lives of as many individuals as we could with each book we published. This remains a core tenet of ours today. We started to employ more people at this stage: animators, illustrators, videographers and marketeers. Amongst them we took on Chris, our first apprentice, an aspie we found in a local Age UK warehouse. He become one of our illustrators. He was amazing! Always time for a chat over a brew. Always honoured to work with Colin Shelbourn. Always keeping our apprentice Chris busy. During the year we had also been working on a suite of animations to promote well-being in schools. They tackled the idea of self-awareness, anxiety and stress management. We secured a lot of interest in schools and conducted successful research in conjunction with the University of Central Lancashire and the MORE programme to determine the perceived usefulness of animated learning content for teachers and pupils. 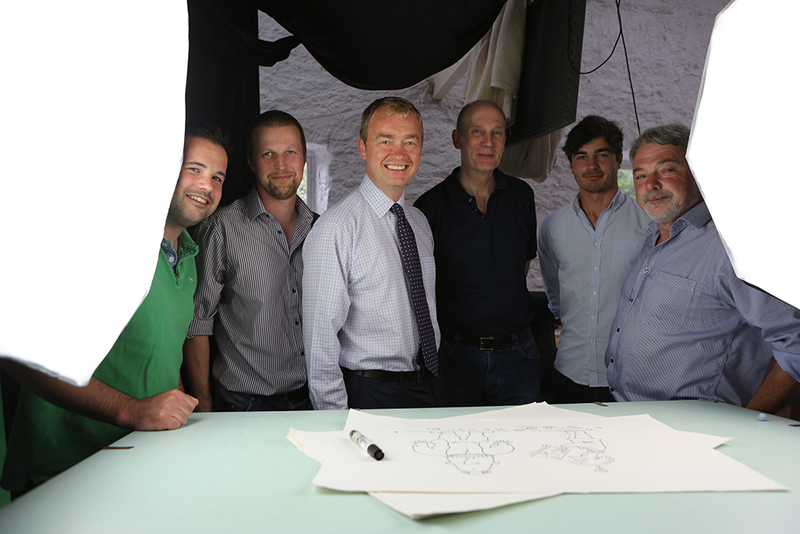 Tim Farron MP came to visit us and congratulated us on what we were doing, saying he believed there was a real need for it and he didn't know of anyone else out there doing the same thing. We were interviewed live on BBC Radio, along with our then partner the Brathay Trust, about how we could make a difference to disengaged youths. We trialled some of our animations about self-awareness in schools (again with BBC radio coverage) and then dared ask the children what they thought. (Gulp!) Thankfully they thought they were amazing! We gathered more research evidence with the support of the Brathay Trust on the effectiveness of the medium for learning, particularly with those children who were at a higher risk of disengaging from education. We continued to work on a concept called The Speshuls, and Chris (our amazing aspie artist) created manga-style comic superheroes for a range of neurodivergent attributes. The idea was to create a comic strip in schools that celebrated the talents of dyslexics, dyspraxics, aspies and others, whilst also gently introducing the things they weren't so good at. It was all about education through humour and respect, whilst being mindful of stereotyping. Unfortunately this amazing project had to go on hold and awaits further funding and/or contributors. We continued to work with some new authors to publish books for children about eating disorders and self-belief. As the process from concept to publication can take a year, a couple of books to be written by dyslexics never made it to press as the authors found the process too difficult. This is something we are working on for when we try it again. The big animation project we were going to work on with a large charity fell through for financial reasons and we were now starting to run out of money ourselves. The social enterprise had, in hindsight, been a bit of a blind passion on my part and I'd sunk so much of my money into it that I was now living in a static caravan for the foreseeable future! 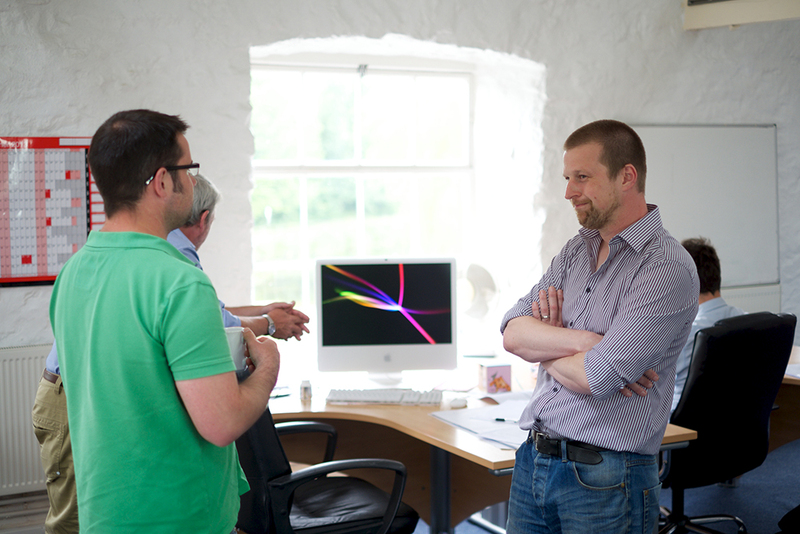 The dwindling team moved from Kendal to a lovely mill in Halton, where we enjoyed almost the same space for less rent. The original company was now divided into two companies: Explainer HQ Ltd and Socialworx CIC. Explainer HQ was focused on more commercial 'explainer' material in order to survive and retained the publishing side of the business. 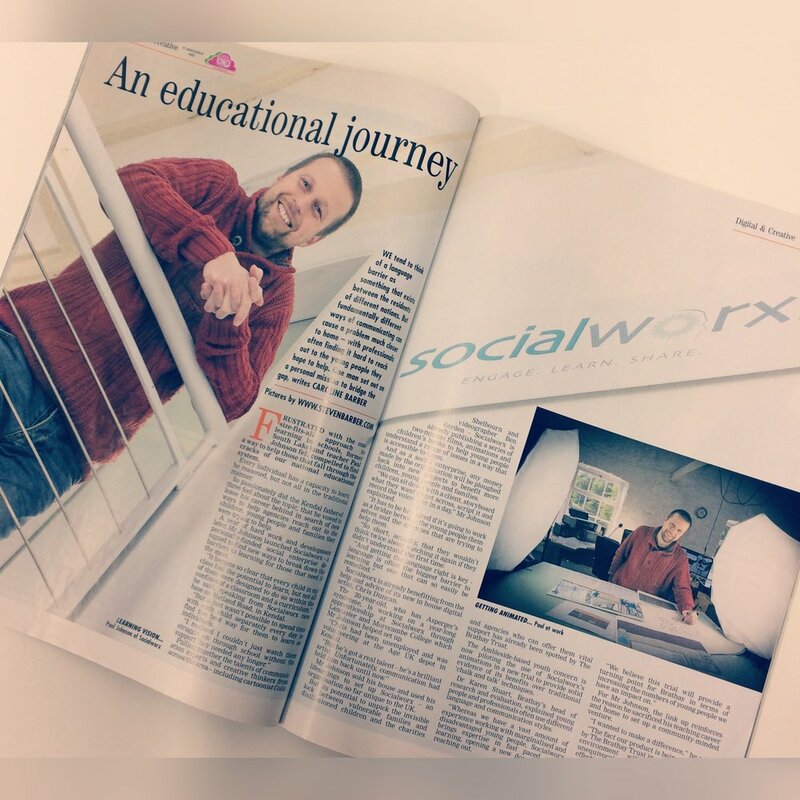 Socialworx CIC was afforded a free home by Explainer HQ with a mission to curate information relating to neurodiversity, alongside physical and mental health issues, for the purposes of disseminating information to schools. Unfortunately, little happened with Socialworx other than a few meetings and renaming it Your Stories Matter CIC following a particularly creative meeting. Bye bye Socialworx Kendal, it was a blast! Look, it doesn't matter if we make a mess on the floor! Throughout most of 2014/15, our attention had been turned to producing animated explainer videos through Explainer HQ on a commercial footing: the biggest client being Lancaster University. This got us back on our feet again, though with little time for much else. However I was not content. I had left teaching to make a difference (after originally going into teaching to make a difference). I had become lost in trying to pay the rent and pay the wages. I decided I needed to get back to my roots. I had to start again. Two years to the day since moving to Halton, I moved the studio back to Kendal (albeit now much more modest), whilst maintaining a presence in Halton. In the New Year I suddenly knew what I had to do. I couldn't forgo the now profitable Explainer HQ in favour of the non-profitable Your Stories Matter, that was clear - I had children to feed! Instead I decided to close down Your Stories Matter CIC (horror) and embrace its values within the very core of Explainer HQ. This was done by creating a publishing division (a.k.a. imprint) within Explainer HQ. Given Explainer HQ now only produced educational material (films, animations and books), the new publishing imprint would fit in very nicely for books that raised both awareness and understanding of neurodiversity. And what did I call this new publishing imprint? Your Stories Matter, of course. A story about a child who discovers she has dyslexia - now she doesn't feel so stupid! We published our first four books under the new Your Stories Matter imprint fairly quietly on 31st January 2017. We wanted to see how it went. Well the feedback from the neurodiverse (I love that word) community was great. The Dyspraxia Foundation ordered a fair few of our books for their online store and we got a lot of interest in a children's competition for one of the books. We also received an influx of book submissions as people starting hearing about us on social media. Exciting stuff. A story about three friends who know they are different from the popular kids at school, but who come to accept their differences as strengths (the main charactyers have dyspraxia, dyslexia and autims - though this is not made explitcit). A true story about a child with dyspraxia/DCD told from the perspective of the older sister, Emily, who wanted to know more about what it means and how to help her sister be happier. It has been an exciting year. By Christmas we should have published at least ten more books, with at least as many in the pipeline for next year. Budding authors have approached us from The United States, The Netherlands, Scotland and England. We have also added LGBT to our list of supported diversities, which will prove to be an interesting (and perhaps controversial) topic given these new books will be aimed at young children! Of course we'll be handling things sensibly and not throwing labels around that young children can't understand. I encourage you to look out for the Rainbow Street Series when it is published in December. Importantly, we have also branched out into adult books. Your Stories Matter is no longer just a children's book publisher. We published our first such title in December, with more adult titles planned for 2018. Part of the new Rainbow Street Series, this children's book is about a child born a girl who feels more like a boy, and his journey to be accepted as such. It is a challenge tackling LGBT issues in a sensitive way, without throwing around labels or making a big deal of it. But we are proud to embrace stories that tackle gender and family diversity, and introduce diverse lead characters, whilst making sure the stories stand up as great stories in their own right. Our first adult book. A fascinating autobiography of a young man dealing with anxiety and depression on his quest to find inner peace, against all the odds. His outer journey sees him running from England to China and back, more than once. His inner journey sees him trying to move away from his overly obsessive self. At the same time as expanding our remit to publish books for adults, our first large format book (also the first time we have offered a hardback version) also sees us broaden our focus at the younger end of the spectrum with this story that looks at autism through the eyes of a young child (without any labels being used) aimed at 4- to 6-year-olds. An example of a story that includes diverse characters, in this case two male dogs. But gender is not what the story is about. No reference is made to the fact these two dogs, who clearly love each other, are both of the same gender. Animals have been used throughout the Rainbow Street Series to make it easier for children to avoid stereotypical views of gender, race and cultural differences. They can then be taught how to apply these ideas - which make absolute sense when applied to cuddly animals - to the human race! We have moved to a new studio in Kendal town centre. More room to be creative! 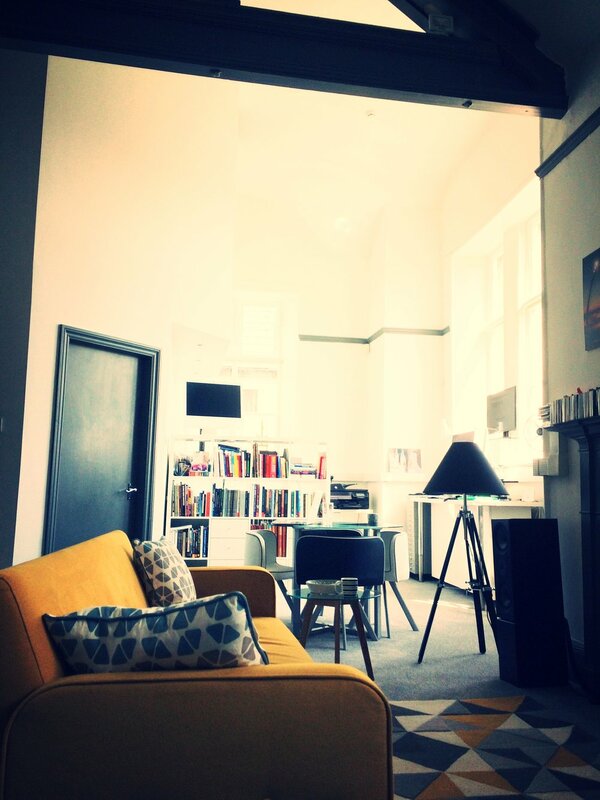 We've been quiet for the first few months while we reorganise ourselves and take a breath.